Back in 2001 I created a website called humanclock.com. 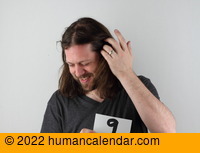 Since the Human Clock website represented time with pictures, I figured I could predictably milk the idea with slower-moving units of time — calendar dates. Sadly however, the calendar remained neglected. 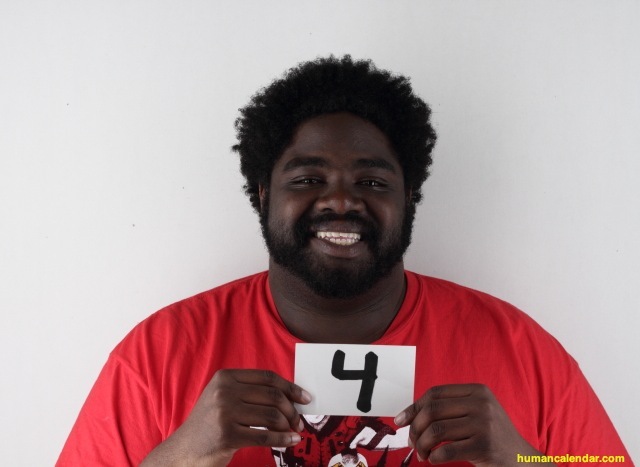 You see, the humanclock.com site was still in its infancy: tv/radio/newspaper interviews, late night coding sessions, cute girls asking me out (this was pretty neat), overloaded webservers, massive coffee consumption, that sort of thing. In early 2002, I set off to ride my bicycle around the continent of Australia. Somewhere in the middle of nowhere I was thinking about a lot of random things at once. Whatever day this was, I happened to be thinking about computers and a girl. 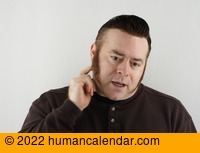 Specifically, about the then-upcoming humanclock.com redesign and Marcia Brady. Where should I put the calendar on the clock site? What square did Marcia Brady occupy during the start of The Brady Bunch? Thoughts of "gridded people" and calendars meshed into one. Although I wrote most of the code in 2003, it still took another four years and several practice attempts to finish the Human Calendar. All of the "models" are various friends of mine who happened to find themselves near my garage between April-July 2007, and later on during the Summer of 2011. Granted, most were lured with beer, food, lodging, or in one case...meat. Nearly everyone is from Portland, Oregon with the occasional person from Saipan or Sacramento thrown in for good measure. Some people are in bands, a couple are writers, one person was in an episode of Murder, She Wrote, while another person accidentally murdered Kelly Ripa's pet sea monkeys when she was 12. A major update to the site was done in October 2011. Gone was the putrid green background color...that was replaced with an equally putrid yellow color. One of the most noticeable changes is that the calendar became "animated". You can click on the people or bump them with your mouse pointer, they'll react and do stuff now. Some new folks were added to the calendar. Some were random people off the internet, some are friends that missed out the first time, while others are in playing in travelling bands. 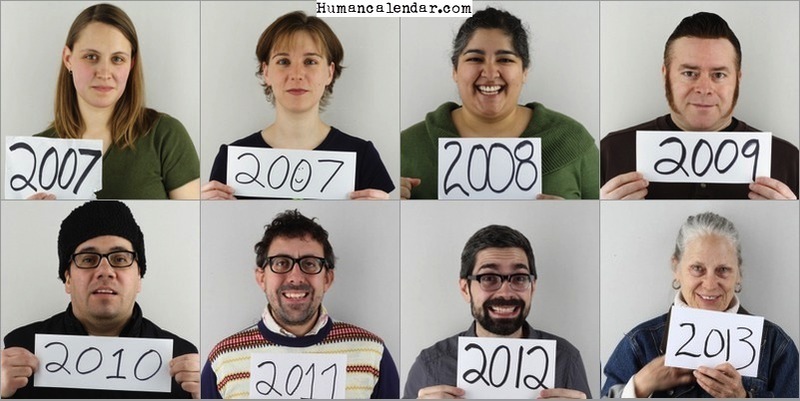 The other big change is that people could finally submit photos to humancalendar. There are about 13,000 photos that make up all the images on the calendar. Some of the leftover photos are on this page, if you keep reloading this page you can see even more photos. I finished my 2,660 mile walk from Mexico to Canada. I reached the border on September 25th, 2013. 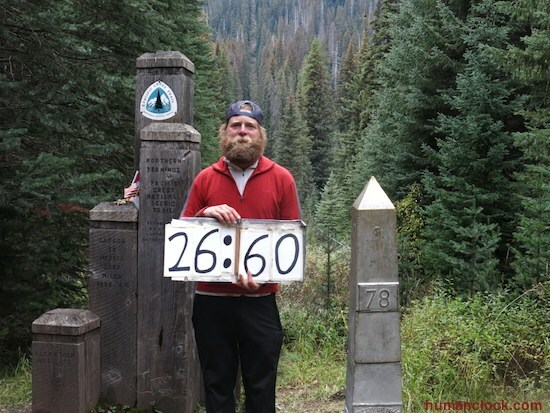 I made up a clock time of "26:60" to represent the distance from Mexico to Canada on the Pacific Crest Trail. I kept a journal the whole time on my lunky.com. There is a lot to read there, and over 12,000 photos to look at. 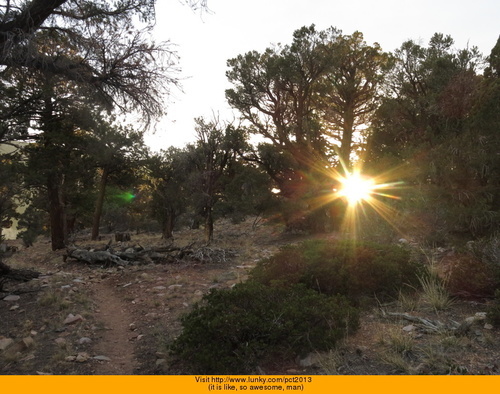 Updates are going to be a little slower right now since I am hiking the Pacific Crest Trail from Mexico to Canada. You can follow my travels here: on lunky.com! I'd like to welcome artist Cheryl Reed to the Human Calendar as 2013. I'm having some issue with the iPhone app and I hope to have that resolved in a few days. In my quest to make sure I never get around to finishing the the last 10% of the new Human Clock website, I made a few updates (rounded corners!) 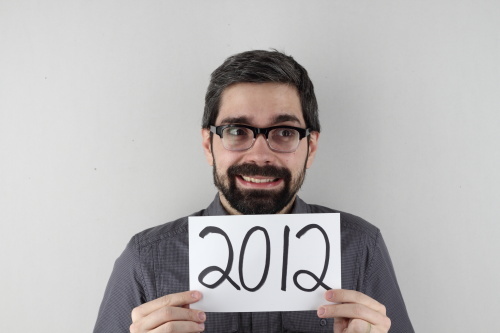 and the blank spots on the Human Calendar now do special things. The iPhone app is now 99 cents too. During my biking around Australia stint I met this great couple Sam and Nadia in the town of Perth. I ended up staying there for around three weeks over Christmas 2002. Sam is from Fairbanks, Alaska, USA and Nadia is from Perth. 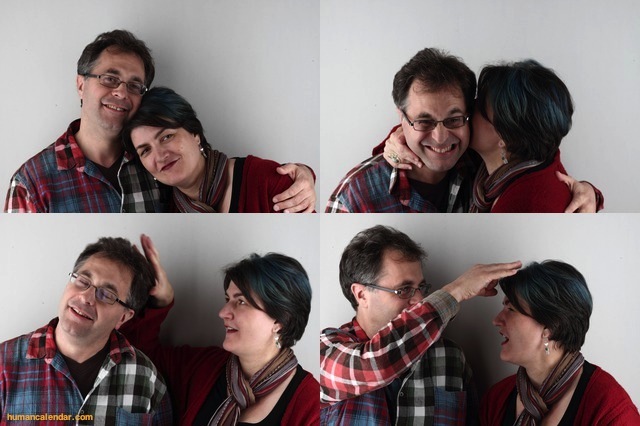 They met as penpals and have been married for the last 21 years. Sam and Nadia paid a visit to the USA recently. While visiting New York City, Nadia ended up on an NPR Game show. You can hear her tell the story around the 1m30s mark. They later came to Portland for a visit...and brought Tim Tams! 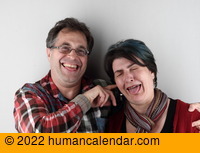 Sam is the new "Mr. August" and Nadia is the new "Day #2" on the calendar. Since this website has more Facebook fans in Brazil than the USA now, hopefully Red Fang will make it there soon. In the meantime though, Aaron was interviewed by MTV Brazil. (the interview is at the 1:30m mark of the second segment). Very soon they will be on tour through Europe.